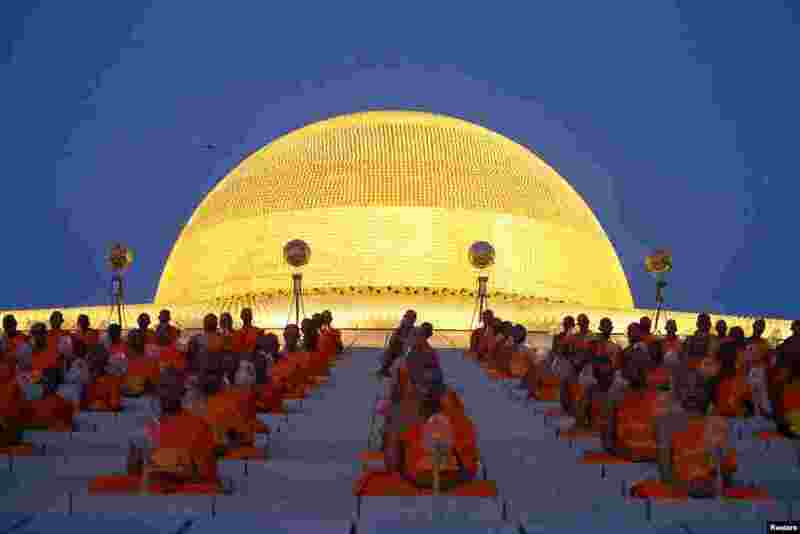 ١ Buddhist monks pray at the Wat Phra Dhammakaya temple during a ceremony to commemorate Makha Bucha Day outside Bangkok, Thailand. 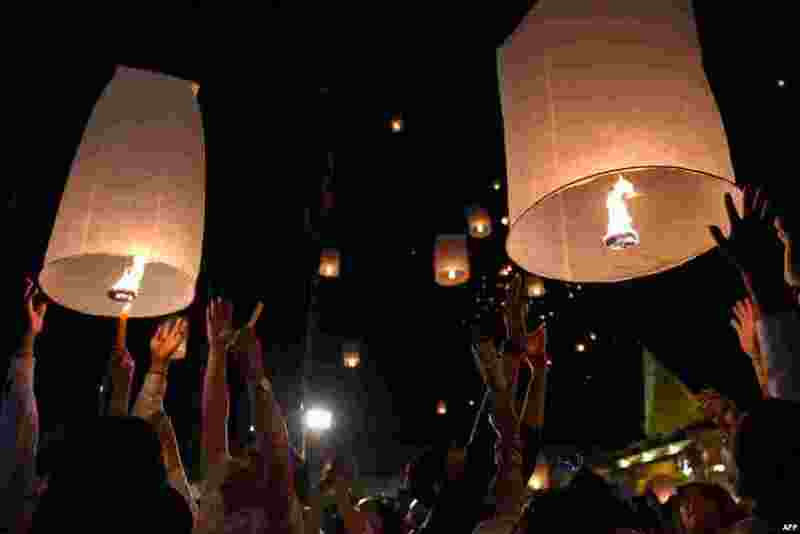 ٢ Cambodians release lanterns during the Meak Bochea Buddhist celebration in Phnom Penh. ٣ A Nepali Hindu devotee rolls on the ground after performing a bathing ritual on the last day of the month-long Swasthani Festival in the Hanumante River in Bhaktapur on the outskirts of Kathmandu. 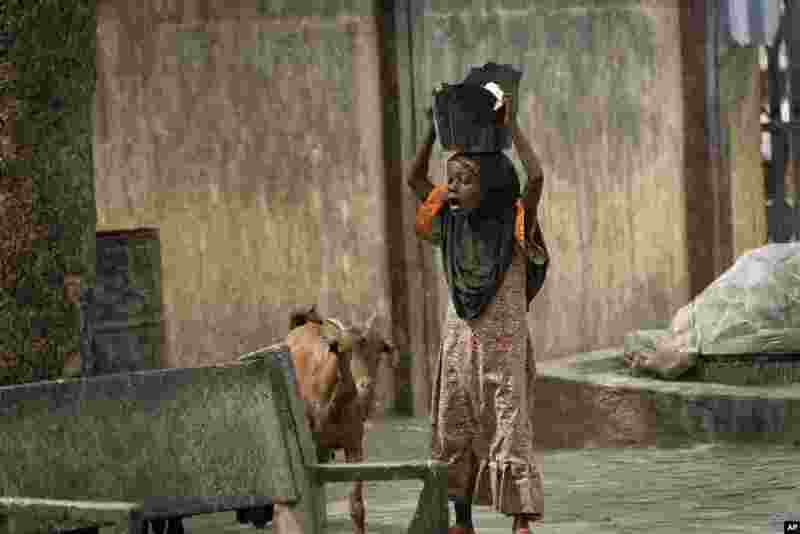 ٤ A young girl carrying a broken plastic bucket full of food on her head in Kano, northern Nigeria.